These apps and online study tools provide ways to study that help your focus on essential material for tests and exams. A few of them can even make studying (a little bit) fun! 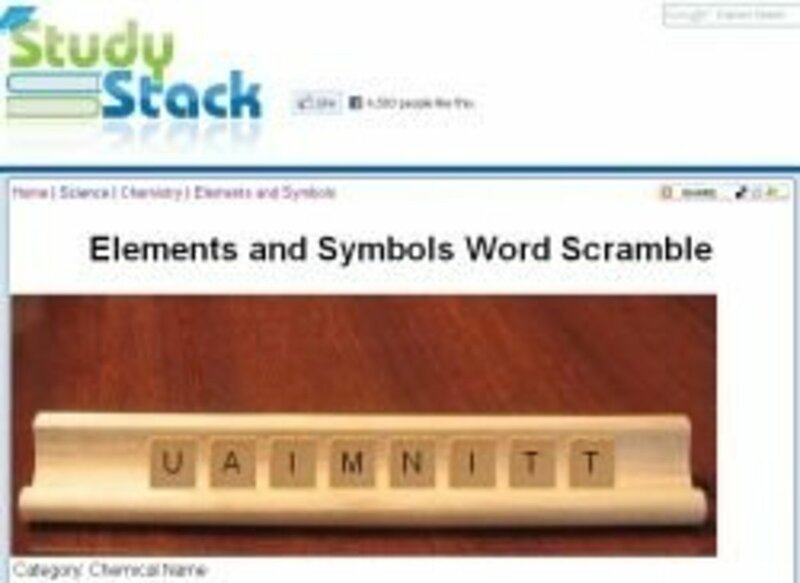 Whether you're studying for the weekly spelling quiz or cramming for a college chemistry exam, there's a studying game, flash card app, or guide to help you. Cramming for exams is the last thing most of us want to do. We put it off to the last minute. We review what we know and skim over the harder stuff. And our grades show it. Studying for tests need not be so hard a slog. 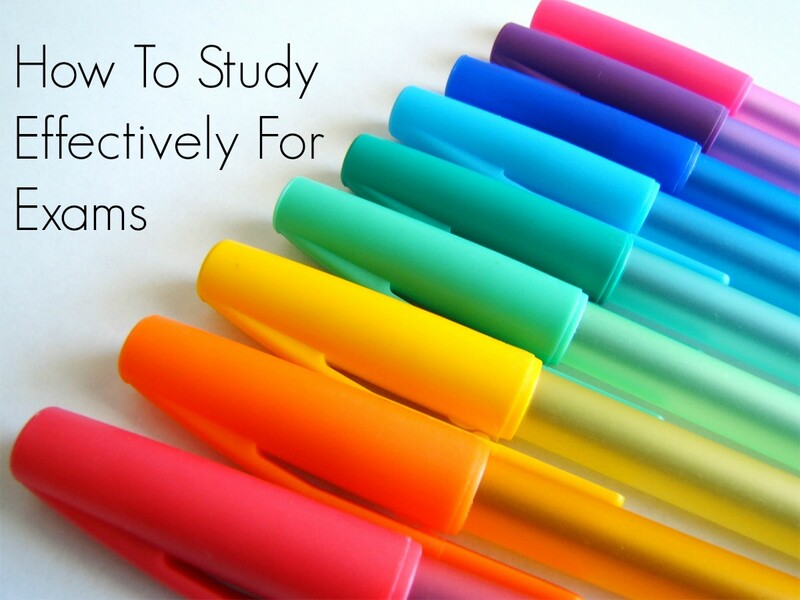 These interactive study tools help you focus on what's important and make the most of your study time. There are over a million items in Study Stack for geography, history, business, math, science, many languages, medical and standardized tests such as the SAT, ACT, GRE and LSAT. Download them to your cell phone, PDA or iPod to study on the go. Like Flashcard Machine, FunnelBrain uses the flashcard concept, but combines it with an algorithm based on repetition, spending the most time on the material that it is hardest for you to remember. There is more to the site than flashcards though. You also have the option to set up and participate in study teams of teacher and students or groups of students. Team members can then share the work of creating flashcards and of checking the accuracy of what's created. They have the ability to add notes to the cards for elaboration and clarification of answers. Some sets of pre-created flashcards, such as AP Biology and Chemistry, are "premium" and require a monthly paid subscription to use. Prep quizzes for standardized tests such as the GRE and SAT require submission of personal information shared with third-party sites to see a complete review of test scores. Sometimes you just want to keep it simple. 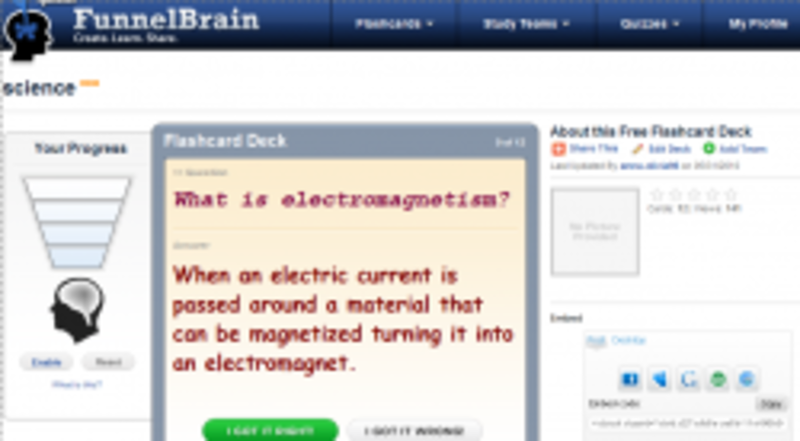 Flashcard Machine is the study tool for you. After registering, you have access to a searchable database of more than 125,00 flashcard sets in more than 100 subjects. And, of course, you have the ability to create your own sets of flashcards. 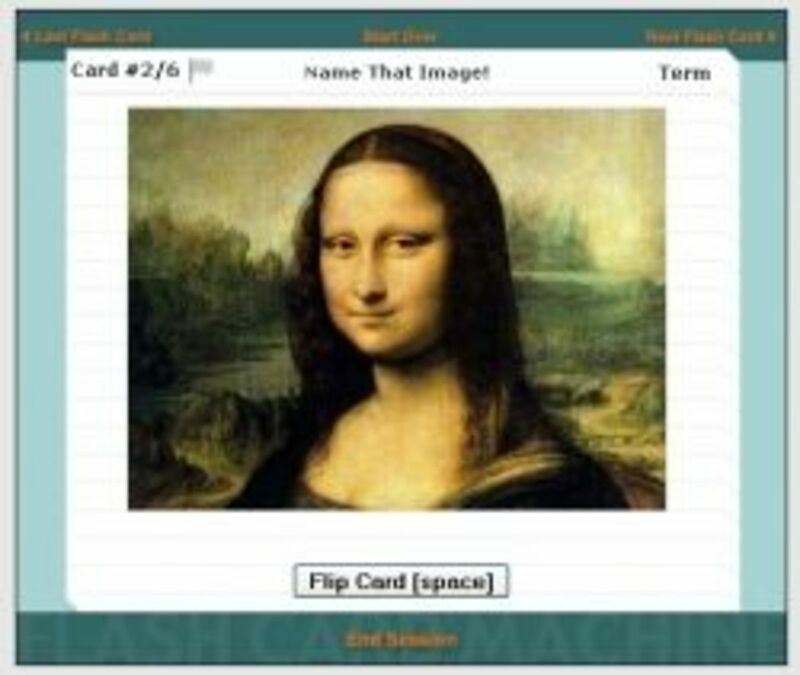 The flashcards have several options for the order in which you see them, repeat and review them - even autoflip them if you want to study hands-free. You also have the ability to save your place in the study deck for up to a week. An accompanying iPod application, iStudyToGo, can be purchased so that you can download your flashcards for portable study. There is no cost - just free registration - to use the site. The accompanying iStudyToGo app for Android or iPhone costs between $3-5. Another option is to study the way you'll be tested. Memorize.com gives you the choice to study in 3 modes - flashcard, multiple choice and matching - with the ability to switch among them easily. You also have more options to create study pages than with most of the other study sites reviewed here. Memorize.com has wizards to help you create tables, wiki text, maps, diagrams of images with labels, and image tables. You do not need to register to study pages already on file or to create your own study page. Memorize.com will create a temporary username for you to create a page. But once you've logged out or closed the page, you may not be able to easily retrieve it. This study site uses Google search service, so the page must be indexed by Google before it appears in their search results, which can take days or weeks. So if you create a study page using a temporary username, be sure to add it to your browser favorites so you can return to it. 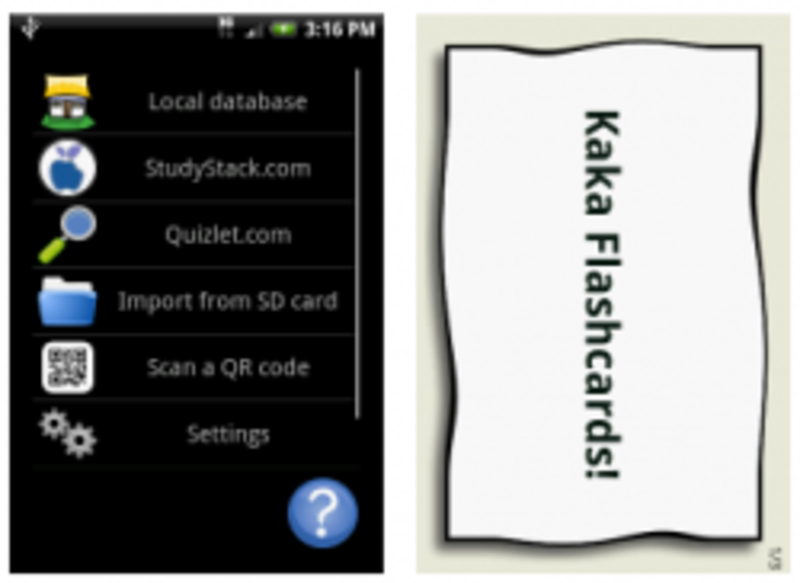 KaKa Flashcards 2 is a simple free droid app that downloads flashcards from StudyStack and Quizlet. Or import or export your cards to/from a CSV (comma-separated values) file. Then you or your child can review on the go without all those index flashcards. My daughter tried KaKa to study for a recent test and found it easy to use. The main drawback is that is not as intuitive to use as it could be, and so a little hard to figure out at first. 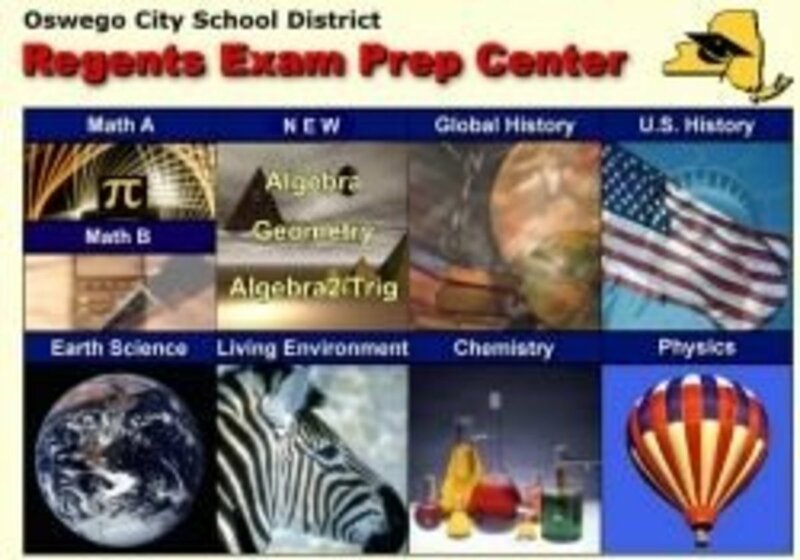 Another study tool for the high school crowd is the Regents Exam Prep Center. It was developed by the Oswego City School District to help New York students prepare for the state standard Regents Exam in English, Math, Science and Social Studies. But most of the material here appears on high school standardized tests throughout the country and so is useful to all high school students. Study materials include in-depth reviews of the subject matter, interactive practice tests, sample essay questions, old exams, and even video explanations offered through SUNY New York Network. Regents' reference library includes numerous other online resources for content and practice. For middle and high school students, Sparknotes has a cornucopia of study materials. "SparkNotes", study cards and practice quizzes cover biographies of historical figures, biology, chemistry, computer science, drama, economics, film, health history, math, philosphy, physics, poetry, psychology, social, US government & politics and literature. SparkNotes special strength is its comprehensive literature resources. 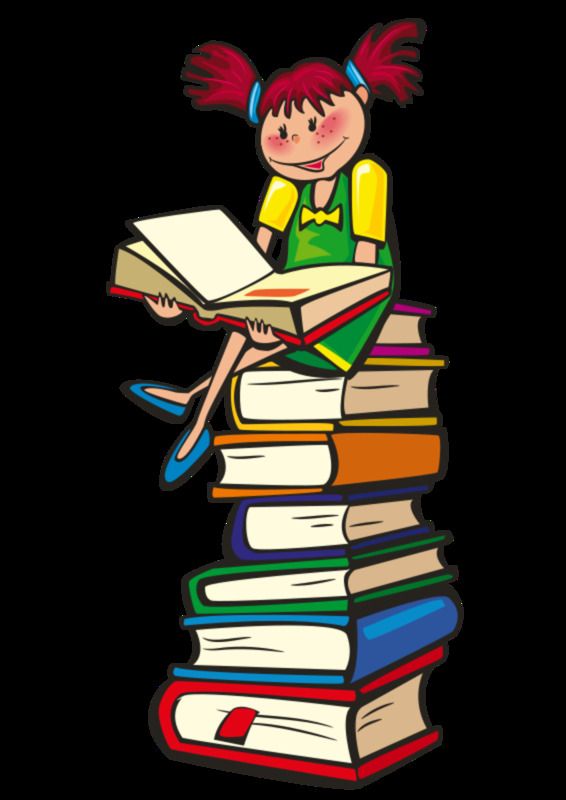 They include guides and comprehension quizzes for hundreds of books, short stories and poems most commonly studied in English literature classes. Using "No Fear Shakespeare," students review side-by-side modern English translations of Shakespeare's best known plays. And there's more! College test prep materials for SAT, ACT, AP and GRE include subject area reviews and practice tests. SAT materials also include flash cards. 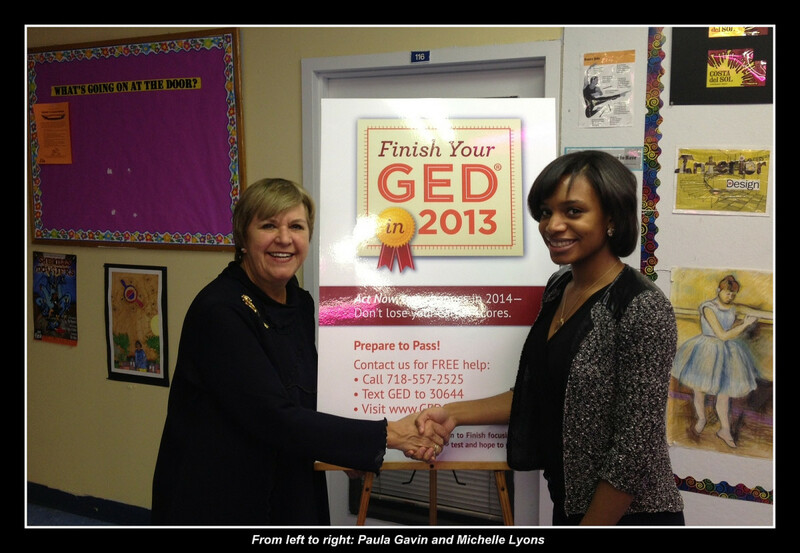 Free registration is required to use some parts of the site, such as college practice tests. This first one is for all those kids who spend several days studying for their weekly spelling quizzes. SpellingCity is the premier website for practicing your spelling words. Teachers, you can create spelling lists on the site for kids to use in the classroom or at home. 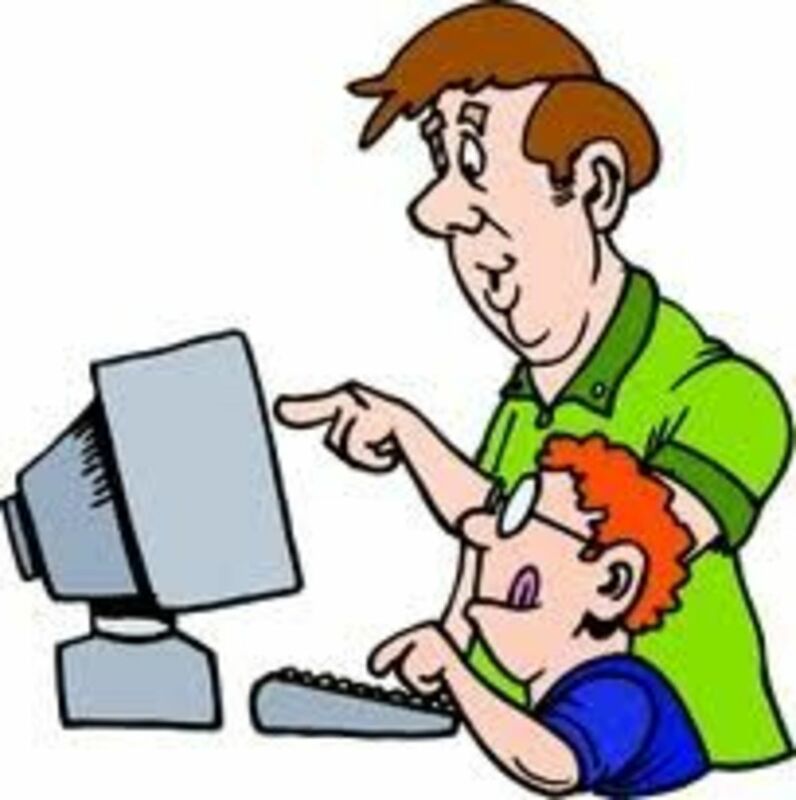 Or a parent can create a list of their child's weekly spelling words on the site. There are ten different games for kids to play with the lists that help them memorize the words. For homeschooling parents or kids practicing for a spelling bee, there are more 42,000 spelling words already on the site in a variety of lists. For beginning readers and English language learners, there is a Dolch list of "sight words", the most commonly used words in the English language. Other helpful lists have homophones, homonyms, contractions, possessive nouns, and many more. So the site is also helpful for English language learners and adults who want to improve their spelling too. SpellingCity games have amused and excited my kids, and have improved their test scores too! There are many other websites to help kids practice spelling and vocabulary. Look at my Vocabulary and Spelling websites list . For a fun and quirky way for kids to bone up on their knowledge of core subjects, I highly recommend Questionaut. Designed by BBC Schools in Great Britain, it tests knowledge and skills that U.S. students learn by grade 5 in math, science, reading, writing, health and fitness. There are 8 levels. First figure out how to "unlock" the questions. Then answer five correctly to get enough fuel for the hot air balloon to rise to the next level. The scenery of each level gives you clues about the types of questions that will be asked. 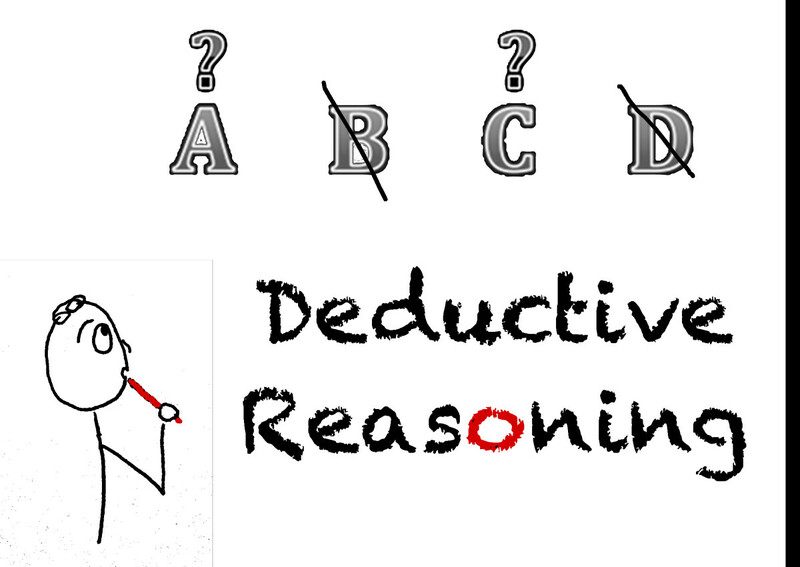 You may find it more challenging to discover how to unlock the questions than to answer them! 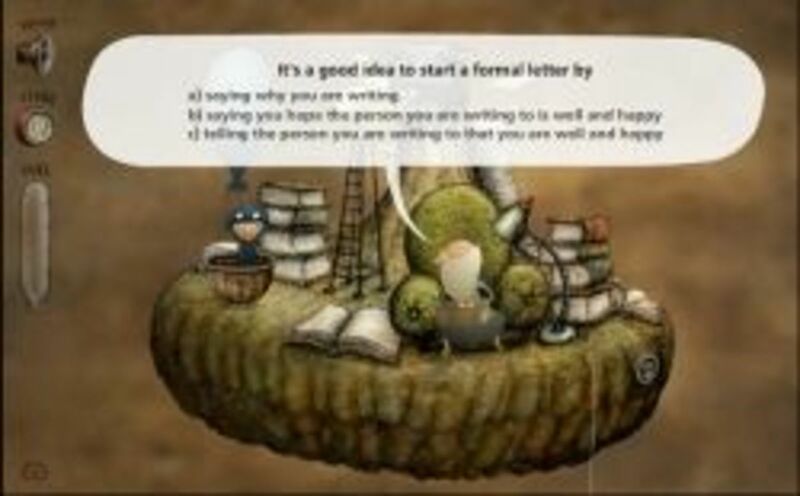 You can play it repeatedly, and get different questions each time. The animation is captivating and helps to keep kids engaged in what is basically a multiple choice quiz. Note that money amounts are written in British currency (£), which can be substituted with American $ for calculating purposes. Do you use online study tools? What tips do you have for studying for tests? Thanks for the feedback, Sarah. I've highlighted the top free ones here used by my students. They are taken from a more comprehensive list I publish on LearningReviews.com. Your Tumblr list of sites is extensive, and includes some I've not seen before. Thanks for sharing it. I agree. There's been a great deal of research on the use of music while studying, and it has proven to be very helpful - particularly instrumental music set to about 60 beats per minute. Thanks for the helpful tip, Leslie. @ninjanina15: I have not listed it because it has a limited number of free resources and does not allow for any private study within its free resources. I'm surprised ExamTime isn't mentioned on this list. It's like Study Blue, Quizlet, and Flashcard Machine all put into one, but with even more options than those three resources put together. I use it for all of my studies, and it's amazing! 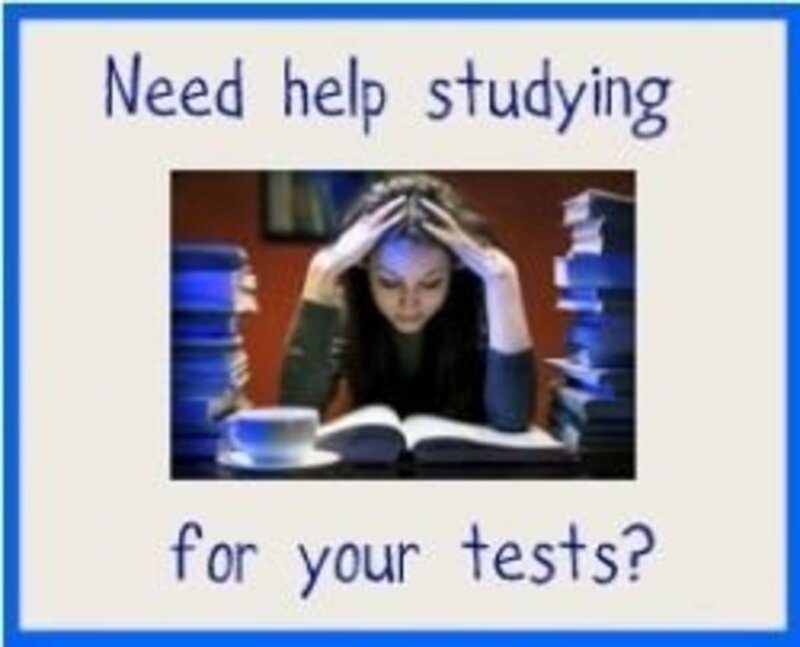 Examtime.com has mind maps, flashcards, quizzes, notes, and a study planner tool all in one place. It's really user friendly and fresh. I use it for my college classes, my sister uses it for her IB classes. I can't rave about it enough. Study stack sounds awesome, too! I'll have to check that out. This is a helpful lens not just for students and teachers, but for parents as well. What a great resource! I'm glad I found this lens. Kids need all the help they can get sometimes and these ideas break up the boredom of studying in the traditional way. These Free Online Studying Tools for Kids and Students of All Ages is great. I find it best to study after class every day. That way you don't have to study before a test. This is great content for students! I review educational kids apps on my lens' - Come visit! Thank you for sharing all these resources ... nicely done! Wow I am really impressed with your lens. A lot of good ideas here. Please do check out my lens when you have a chance. I didn't know there were so many online tools for exam help. Thanks for sharing. You have compiled quite an impressive array of educational resources for those students studying for exams. Great job. There's a fine line between adding value and overwhelming students, and you definitely have added some value with this lens. My tip is certainly not original, but worth repeating: Just don't leave it all to the last minute! This is a great resource you have developed here. I never knew there were so many of these sites available. Well congratulations for making it into the top 5 in the Internet Lens section here in February and I can certainly see why as this would be very valuable to students trying to get and edge on studying. Great tips and websites. Very useful lens! Thanks for these great resources. Blessed. The only ones I had heard of before were smart.fm and spellingcity.com (which has come a long way really quickly). Bookmarked for future reference and blessed. Thanks for sharing this great information! Blessed by a Squidoo Angel! A lot of helpful sites! Some I didn't know about... thanks so much! Questionaut looks fun -- I wish I had something like that when I was in elementary school! flashcardexchage and flashcarddb are others not on this list that arent bad and have tons of content. But i think for quizzes and flashcards the coolest is funnelbrain.com, at least its the easiest to use.